The Hotel Hyatt Regency is a $50m tower in the south of downtown Montreal. It is one year old; it is in keeping with the newness of this part of the city. It is also serving as “Grand Prix Headquarters”, which means that you collect your credential from the basement of the Hyatt, that the pre-race festivities, like the Gilles Villeneuve Ball, are held at the Hyatt, and that most of the Grand Prix teams, including mechanics, stay at the Hyatt. Some remain aloof – Walter Wolf’s team for one, Michelin for another – but, otherwise, this is already a Grand Prix with a difference: the paddock area is effectively marble-floored and graced with Muzak. This morning, with most of the teams together again after two or three days in New York, or brief trips to the Goodyear factory in Akron, Ohio, is to be much like any other. Emerson Fittipaldi is clad in a red-and-white track suit as he sits down to breakfast, and Jody Scheckter is wearing his white outfit from TV’s “Superstars”. Emerson will later train at the nearby, indoor athletic track; Jody will hit a tennis ball or two. Everything is within easy reach, within calling. Clay Regazzoni, with “Klippan seat belts” emblazoned on his track suit, has booked a court for two hours. Patrick Tambay will play with John Watson, Jacques Laffite and Riccardo Patrese. Lauda and Hunt? They are to stay at the hotel today, recovering from what must best be described as a quick trip to New York. The weather was better down there – but that would appear to be all. Here, in Montreal, only two miles from the circuit, there are facilities to make out-of-town Grands Prix look positively ancient. The shopping malls are so large you need a golf cart to cover them. This, then, is a glimpse of the future: the more the Grand Prix business expands, the more inclined will be the business to stage its races near or in major cities. Who wants to camp at Mosport when you can be in the Hyatt ten minutes after practice? At Montreal, you do your next Goodyear deal in the air-conditioned bar, 30 minutes before dinner (and not in sokme steamed-up, hired motorhome). Is there a downside to it all? Will the Montreal “street” circuit justify the Hyatt? We shall see on Friday, when practice begins. There is an end-of-year feeling in the Hyatt this winter’s morning. The Championship has been won; for drivers like Niki Lauda the race is of only academic interest, even if this is his – and also Carlos Reutemann’s 100th GP start – even if second place in the title chase is still wide open. For drivers like Jean-Pierre Jarier, Keijo Rosberg and Rene Arnoux, by contrast, there is everything – including a good drive for 1979 – for which to fight. And for teams like Ligier this is the time to say goodbye to the Matra engine. 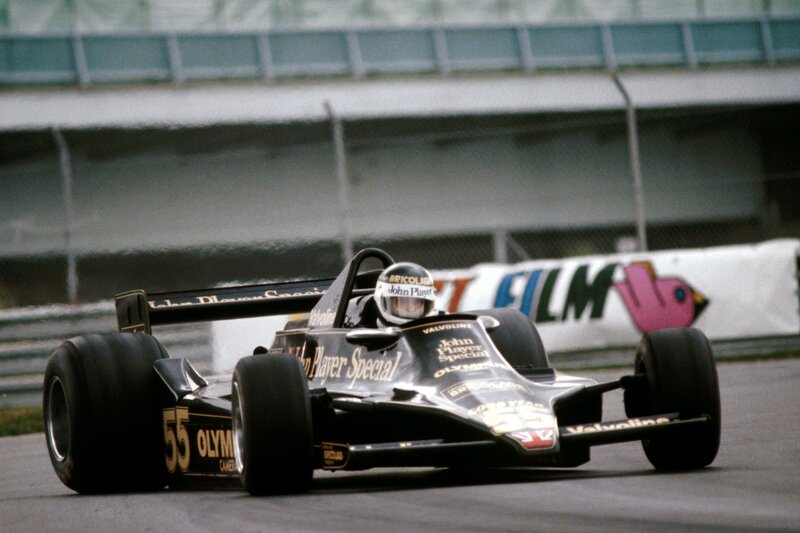 Indeed, this is the over-riding, pre-practice mood: such has been the dominance of the Lotus 79 that a good number of cars will be having their last race at Montreal: next year they’ll all be going ground-effect. That’s your first glimpse of this first Canadian GP in Montreal: it is at once a glimpse of the future and a last look at the past. You reach the track by turning left out of the Hyatt, driving 500 yards on the freeway and taking the “Ile Note Dame” ramp. 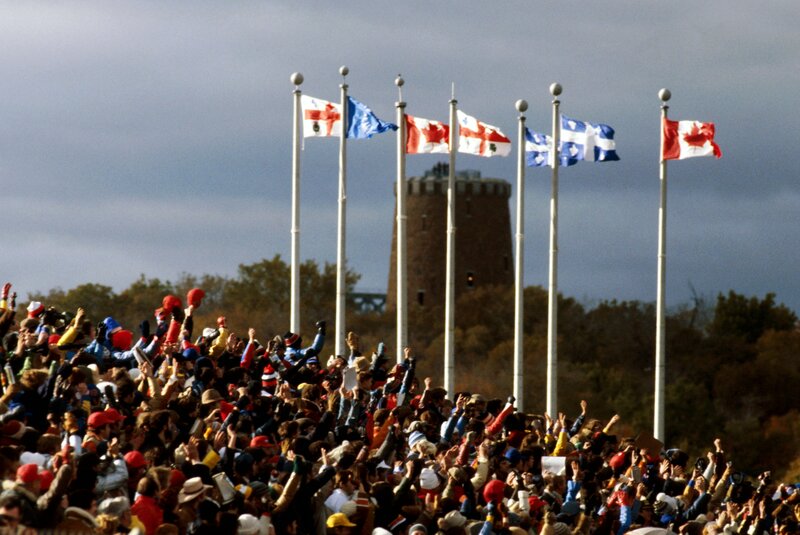 Over a bridge, onto the island – and you are there, at the sight of Expo 67 and the 1976 Water Olympics. The island is small – artificially built out of earth moved when the city’s underground railway was constructed. And, necessarily, the circuit seems small. It stretches the length of the island, with hairpins at either end and six chicanes in between. It is also brand new: the timber is still light-coloured, the grass verges recently-placed, the paint still tacky. Everywhere, artificiality prevails. The cars are garaged in the old rowing sheds, back-to-back and side-by-side, as at Monza. And the pits are a short walk away at the exit of the hairpin, before a quick chicane. From the 20th floor of the Hyatt the rain marches in from the west. The sky is grey and cold. Some circuit baptism. Practice started 20 minutes late, which wasn’t bad, considering the issues at hand. The track glistened as the cars emerged but umbrellas remained furled for ten minutes or so. Then it poured again. Only one driver caught the track at its quickest. 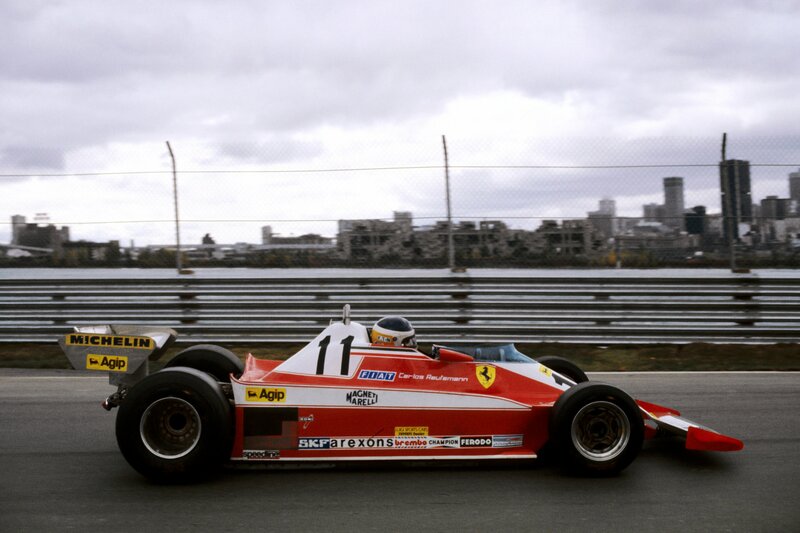 In five laps, Carlos Reutemann lapped his Ferrari in 2min 2.6 sec – and the time was to stand for the rest of the session, giving him a 1.5 sec advantage over his team-mate, Gilles Villeneuve. That the Ferraris, on Michelins, were in a class of their own was clear; what wasn’t so obvious was the question of Fastest Goodyear Runner. 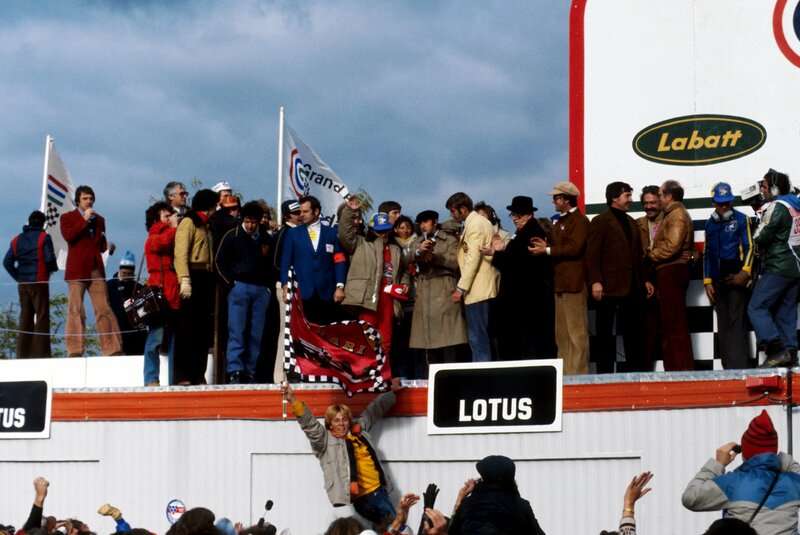 Every driver, except Reutemann, was on opposite lock on their first lap of the circuit – but who would be the quicker? Hans Stuck, that’s who. Stuck, from Pironi and Rosberg – which is a fair summation of the talent of the new generation. Nelson Piquet, having his first drive in a Brabham (and neatly kitted-out in a pair of Lauda’s overalls for the occasion!) was also up there, as were Rolf Stommelen, Surtees’ Beppe Gabbiani and Ensign’s Derek Daly. Like Piquet, Daly was noticeably using fewer revs than most in initial acceleration. There were also those who were in trouble. Neither McLaren driver, despite looking good, could find decent traction. John Watson had a similar problem in the Brabham-Alfa and Lauda was too busy testing tyres. At this point, the feeling was that it would be different on Saturday. At this point they thought it would be dry. As it happened, the sun emerged even as the second session on Friday was drawing to a close. A dry groove appeared for the last ten minutes and Reutemann again found it early, lapping in a beautiful 1min 57.9sec in the T3. Had he run through the flag he would have been even faster. Stuck again made excellent use of the conditions, together with Scheckter, Daly, Pironi and Rosberg. Not Brabham, though. Piquet slid into a barrier and damaged the front end. Watson couldn’t feel the car; Lauda endlessly swapped tyres. By the time the last-minute blind was over, none of the Brabham drivers had qualified for the 22 car grid. Given the heavy rain now predicted for Saturday, they seemed in danger actually of missing the cut. Ecclestone’s re-scheduled return air ticket emphasized the point. It was wet all morning – or at least until the last few minutes of the untimed, 90-minute session. Again the times tumbled. Lauda, making up for lost time, bolted on slicks and lapped in 1min 51.7sec. Rosberg was unofficially second quickest, followed by Andretti and Watson. Clearly, it was all going to come down to the last hour of practice – and this on a circuit where there is only one overtaking place. Who would be out of the pits first? With clouds still heavy, but the track now completely dry, the first minutes of practice might be everything. With 20 minutes to go, the cars were pushed towards the pit exit. Lauda was on “pole”, with Watson alongside him. No surprise there. The two Surtees were next-up, reflecting the team’s hard-trying attitude; then came Piquet’s Brabham, Tambay’s McLaren and Reutemann’s Ferrari. They sat there, these drivers, for over 15 minutes. When the green flag waved, Lauda floored his throttle, crossed his arms and disappeared. Others followed, with Villeneuve making up for lost time and passing two or three cars before the first chicane. It was going to be difficult for the race to surpass this session…. Back at the Hyatt, where drivers filled the coffee shop, it was clear that the 79’s downforce advantage had struck again. It is a markedly superior car on any sort of surface – even in the cold of the Canadian winter on a dirty, still-new track. Otherwise, oversteer ruled. The knife-edge precision of Lauda was no match for the flowing oversteer of Jarier, Scheckter or Villeneuve, for around the tight apices of Montreal you needed little more. For the record, though, there were some performances that might-have-been: Alan Jones needed more fuel at a critical moment. Emerson’s Copersucar split a water line but was still quick enough to start from the third row. Reuteman found no grip at all in the dry and would start mid-field, and Laffite’s Ligier was set up on the wrong springs. 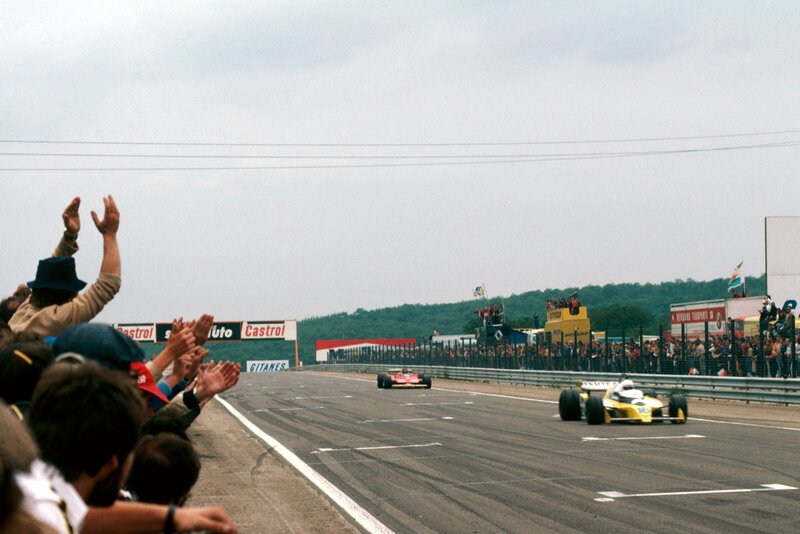 Nelson Piquet was the fastest driver not to use qualifying tyres – and Rene Arnoux’s driving of the Surtees was equally praiseworthy. 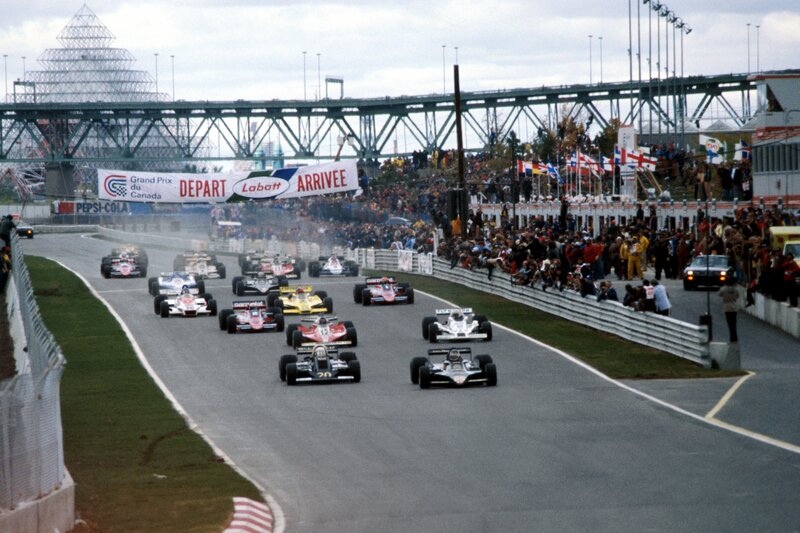 At the front, though, the die was cast: Jean-Pierre Jarier on the pole from Scheckter, Villeneuve and John Watson. Thanks to the metro, which can bring spectators to within walking distance of the grandstands, there is no traffic at all on the way to the circuit. The weather is ice-cold but pre-race prep work centres around brake ducts, for the brakes are worked hard here and the race could be long and testing. Four additional hoses are attached to the front brakes of Scheckter’s Wolf. The Lotus 79s also sprout ducts; and, at Ferrari, the mechanics set to work on much larger glass-fibre air funnels. Fuel is a big question, too, for at nearly 200 miles the race will perhaps be the longest-running of the year. 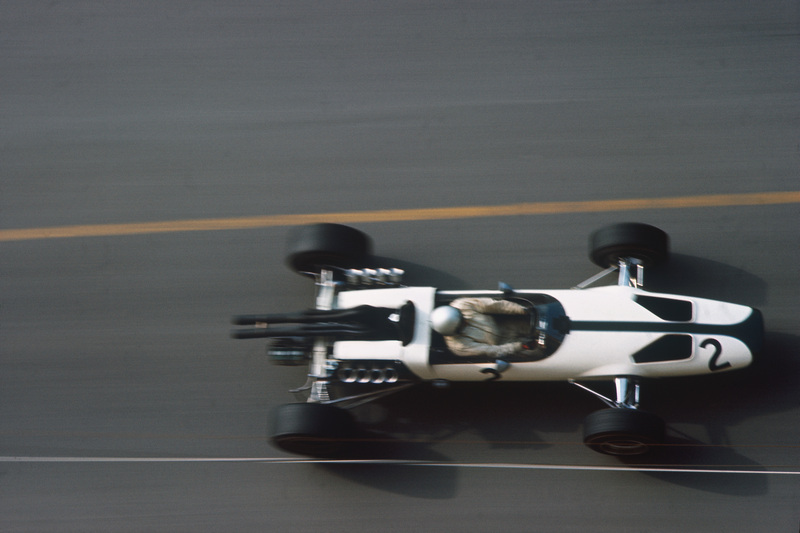 This problem even decides Andretti’s race chassis, for the more comfortable car, raced by Jarier at the Glen, was built – it would seem – to hold less than Lotus’ statutory 38 gallons. Andretti is thus obliged to race the chassis he crashed during practice a the Glen – and at no stage of the race in Montreal will it feel anything close to “right”. Jarier’s, by contrast, felt “right” from the moment the green light glowed. He took off into an astonishing lead – seven seconds after two laps and ten seconds after only three or four more. He was into the hairpin, through it – and then out past the pit lane before another car was in earshot. Jones, who took second place at the start, and was thus in some sort of position from which to judge the Lotus’ progress, saw the car disappearing from him in all departments except under high-speed braking. 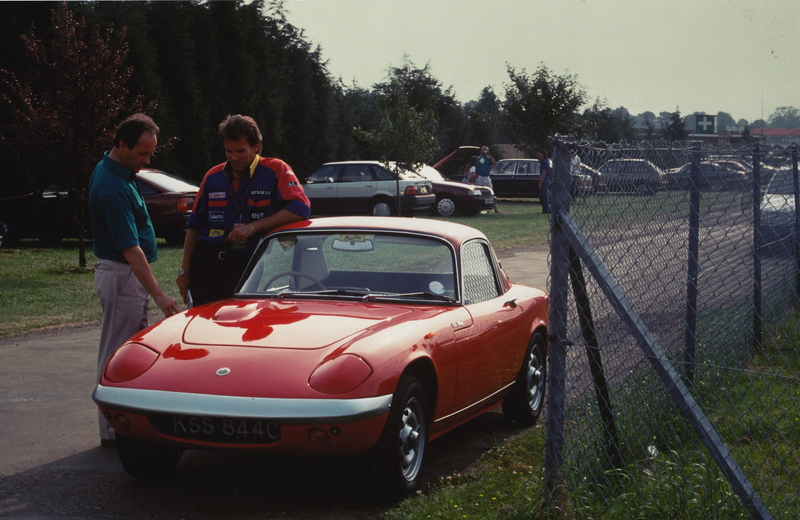 Into slow corners, and in traction, said Jones, the Lotus was just out there on its own. Which, from the start, meant that this looked to be a Goodyear race. Practice had been sufficiently spasmodic for there to be indecision over compound choices – Jones, for example, chose to run hard tyres all round – but now, with Jarier disappearing into the distance, Andretti-style, and Jones leading Scheckter and Villeneuve, Goodyear could afford to look happy. 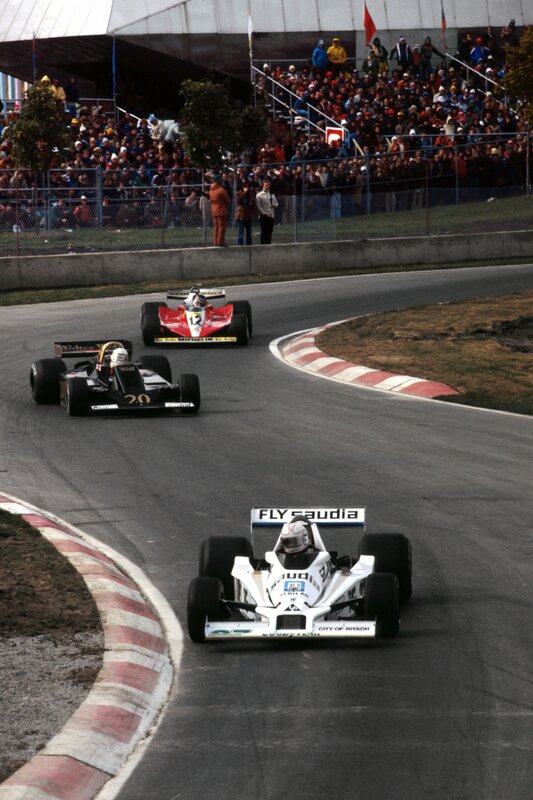 Jarier led Jones, Scheckter and Villeneuve, with Reutemann chasing Depailler’s Tyrrell for sixth place. Two Michelin cars in the first six – and Ferraris at that. Michelin were running different tyres on the two cars – 111s with Villeneuve (who was thus driving with full tank tyre conservation in mind) and the harder 103s with Reutemann. On lap 19 Michelin’s had was strengthened still further: Jones picked up a puncture and gave second place to Scheckter. Villeneuve was now third ahead of Reutemann, for Depailler had by this time stopped to replace a blistered front Goodyear. Jarier aside, the race was now delicately-poised. 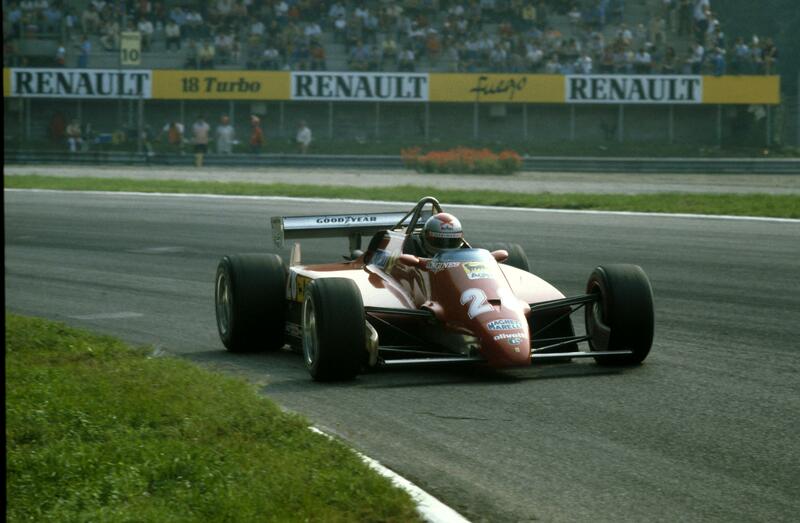 Gilles, already as much of a hero in Canada as James Hunt in the UK, and “a future World Champion” in the eyes of Carlos Reutemann, was now pushing Scheckter, his future team-mate at Ferrari, as hard as he knew how, as if to say “this is what you’ll be seeing in ’79 – Number One or not”. Villeneuve had been sensibly conserving his Ferrari and now, with the fuel load lighter, he was finding himself increasingly competitive under braking. To a roar from the grandstand, Villeneuve dived inside Scheckter’s Wolf on lap 25. Then he surged away – not into any sort of pursuit of Jarier but certainly ahead of the rest. Reutemann, in grip problems, was by now lapping a second slower than his team-mate. Jarier began to sense the first signs of trouble on lap 46. By now he was leading Gilles by half a minute; he had even lapped Andretti, who had cooked his rear brakes after the Watson incident. It was a strange oversteer at first – almost as if a rear tyre was going down. He lost two seconds, then four. The crowd began to go wild. The gap stabilized for a lap…but then it was over. A stone, or possibly a wheel weight, had punctured the engine oil cooler, thus allowing oil to spray over the rear tyres. Jumper could live with the opposite lock – he was born with his arms crossed – but the engine could not survive without the cooler. Jarier drove straight into the pits and quietly retired. 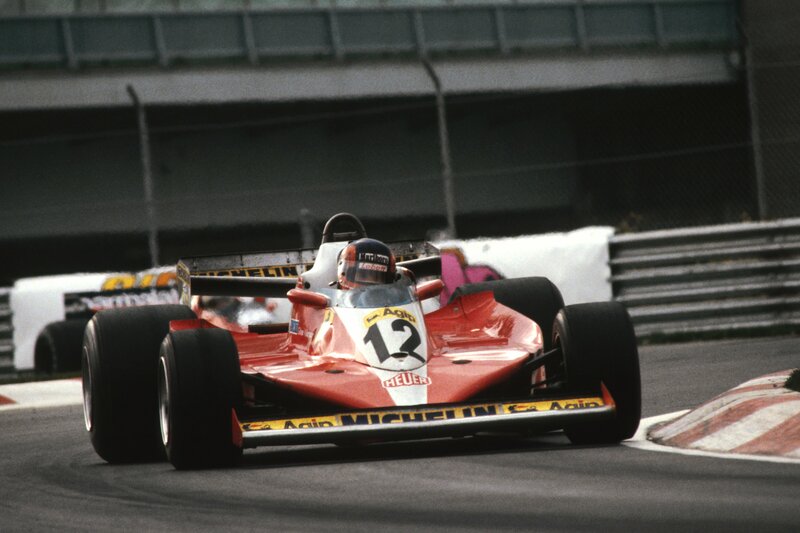 So, in the first Grand Prix at Montreal, Canada’s Labbat-sponsored Gilles Villeneuve was now heading to victory in the Labbat Grand Prix of Canada. Joanne Villeneuve, Gilles’ wife, stood quietly by the pit wall. The Ferrari team hung out “slow” signs. 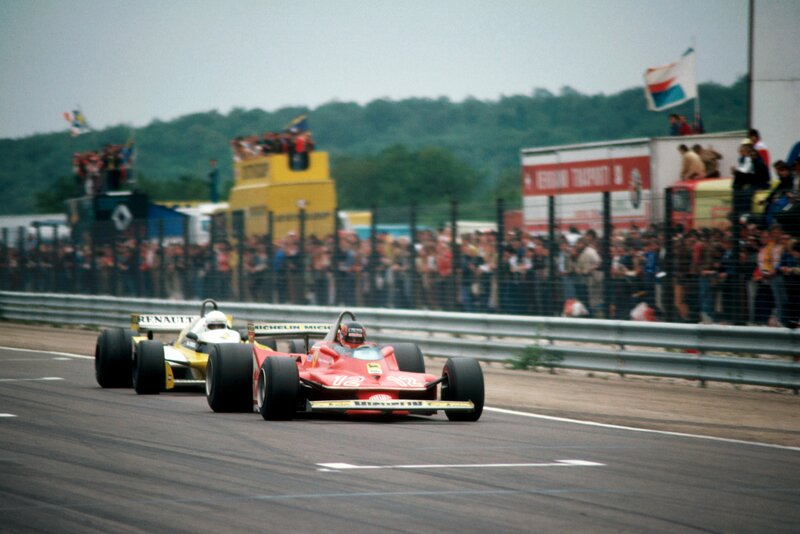 And Gilles, driving as slowly as he could – not something that comes easy to him – continued to draw away from Jody. As snowflakes fell, Villeneuve crossed the line with his mother in tears, the grandstands in turmoil and his Ferrari in perfect shape. It was as if Canada was giving its own tickertape welcome to its new F1 hero. Scheckter would finish second. He had driven well in practice and he had driven hard and fast in the race, even if he was beaten by the car he intends to drive in 1979. And Reutemann was a satisfied third – as satisfied as you can be within the scope of an incorrect tyre choice. Thus a new era has begun. 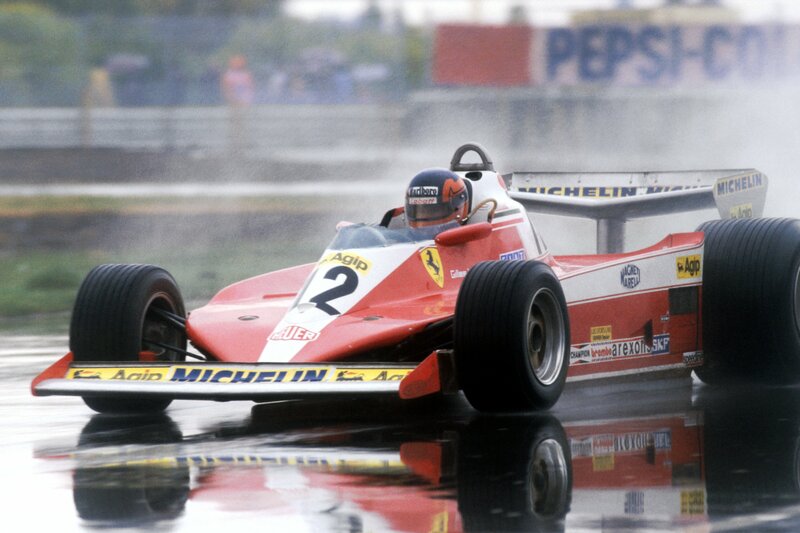 Gilles Villeneuve has won his first Grand Prix. Lots of drivers have had their last races for their old teams. An era of chassis design is over. Ground effect has arrived. And Montreal is here to stay. There was some early-week criticism of this stunning new venue but there was none to be heard in the Hyatt on Sunday evening. The talk then was only of the race, of Gilles’ win and of what will happen in the future. Peter, thank you, another great story and excellent photos. Montreal still puts on a great race. If I may – I remember watching Villeneuve’s career progression, especially his time in Formula Atlantic. I was a budding teenager that wanted to race as well, and Gilles was a big inspiration. I eventually scraped together enough money to attend the Jim Russell racing school at Mont Tremblant, and attended the course in September, I believe the year was 1977. Villeneuve had attended the same school a few years prior. By coincidence, the week I was there was the week when it was announced that Gilles had signed to drive for Ferrari in F1. Some of my instructor team had also taught Gilles, and you can imagine how proud they were to see one of their graduates make it to the top. Their job satisfaction score soared off the page that week, and there was an appropriate celebration in honor of Gilles’ new contract. It was an honor to be there at that time and to feel a small connection to such a great driver. Once again a beautifully written piece on a classic moment in formula1 history. These articles make my day when I read them and then re-read them and study the images. A classic Ferrari period & classic Gilles; not sure wether it’s true but in the Enzo Ferrari movie (where Montezemolo was a consultant) they sort of gave a hint of how the old man was attached to Gilles. More of a Jacques person myself, probably due to age factor! Peter. Thanks for this really good story.